Home > About Compass > Blog > What are The Long-term Side Effects of Chemo? Chemotherapy plays an important role in most cancer patients’ treatment regimens – because it’s very effective at killing fast-growing cancer cells throughout the body. Unfortunately, chemotherapy also kills fast-growing healthy cells. As a result, many cancer patients experience both short- and long-term side effects of chemotherapy. Some patients also experience long-term side effects of chemo. Here are some of the longer-lasting side effects that survivors may experience immediately after chemo or that may become apparent months or years after chemotherapy ends. Find out more about managing late and long-term side effects as a cancer survivor on our website. Chemotherapy drugs may cause thinning of the bones, especially in cancer survivors who are not physically active. You can reduce your risk of developing osteoporosis by avoiding tobacco and alcohol, exercising, and eating foods rich in calcium and vitamin D, such as dairy products, fatty fish, orange juice, and egg yolks. Read this blog more information about managing your bone health after cancer treatments. Pre-menopausal women who had chemotherapy should have regular blood tests to measure their hormone levels. Chemotherapy, as well as other cancer treatments, are linked to menopausal symptoms in some women. For women under 40, menstrual periods may return after treatment ends. However, these women may still go through menopause earlier than normal. Women over 40 are less likely to have their menstrual periods return. Weight gain is a common chemo side effect, especially in women whose chemo caused them to go into early menopause. Chemotherapy drugs that cause changes to the metabolism, combined with being less active during cancer treatment contribute to a weight gain of 5 to 15 pounds on average. If you’re struggling with post-treatment weight gain, try to incorporate exercise into your routine, eat three meals per day and avoid snacking between those meals, and aim for a well-rounded diet rich in vegetables, fresh fruits, lean proteins, and healthy fats like avocados, nuts, and olives. Cognitive dysfunction, also referred to as “chemo brain,” is a common symptom during chemotherapy treatment but continues to affect some patients years after treatment ends. Most symptoms are mild and include trouble concentrating, memory problems, and difficulty multitasking. To manage the effect that chemo brain has on your daily life, keep lists of things you need to do or want to remember, use a calendar to keep track of your schedule and important dates, and use a pill organizer to keep track of your medications. 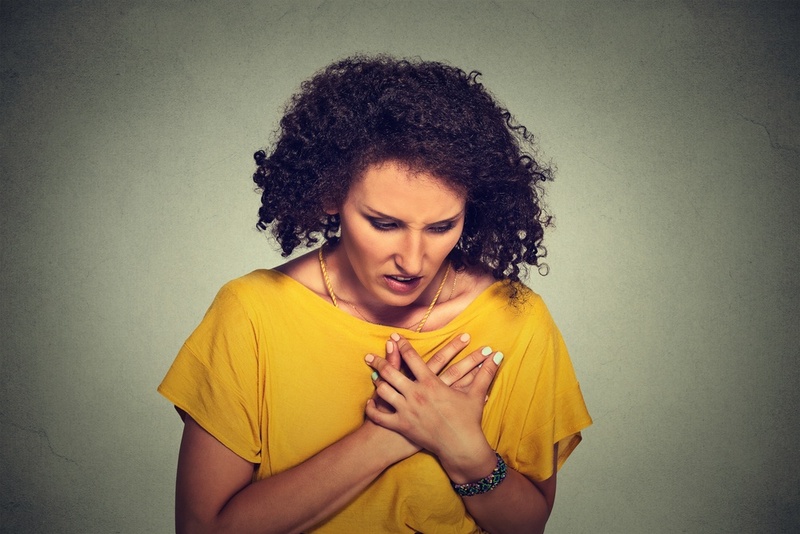 Symptoms of heart disease include shortness of breath, dizziness, swollen hands or feet, arrhythmia, chest pain, or lightheadedness. If you’re a survivor with any of the risk factors for chemo-induced heart problems, it’s important to visit your cardiologist right away if you experience these symptoms. Additionally, talk to your doctor about having an echocardiogram or another test to check for heart damage. Echocardiograms and similar tests can show immediate problems, such as heart attack. They’re also useful for tracking changes to the heart over time. All of the doctors you see should be aware of your increased risk for heart problems and be careful not to prescribe medications that can make heart problems worse. Chemotherapy causes damage to some patients’ tooth enamel, which makes them more prone to dental problems, such as dry mouth, gum disease, and weakened tooth enamel that can increase the risk of cavities. Survivors should get regular dental checkups, so a dentist can detect and repair dental problems before they become advanced. Chemotherapy may damage bone marrow stem cells, which can increase your risk of developing leukemia or myelodysplasia, which is a type of blood cancer. Leukemia as a side effect of chemotherapy is rare. Particular chemo drugs that have been linked to leukemia include cyclophosphamide, doxorubicin, and epirubicin. If your cancer treatment regimen included those drugs, be aware of the symptoms of leukemia, such as swollen lymph nodes, bone pain, night sweats, weakness, fatigue, and rapid weight loss. If you experience those symptoms, let your doctor know. While you can expect to experience at least some of these long-term side effects of chemo if you’re having trouble managing them make sure to talk to your cancer care team. Additionally, if you experience any unusual symptoms not mentioned here, let your cancer care team know. They could also be related to the chemo you received during treatment.